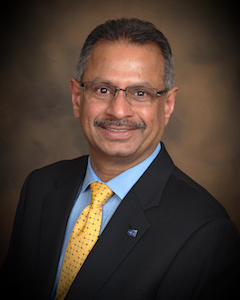 Morgan Subbarayan is a Professional Engineer with over 30 years of proven experience in the environmental and geotechnical engineering arena, specializing in project delivery and design / construction / P&L management. He joined CTI in 2004 as Director of Solid Waste and, by 2005, assumed Presidency and ownership of the firm. Since then, CTI has grown significantly in both staff strength and gross revenue. As sole shareholder today, Morgan oversees operations, accounting, and general administration, and maintains a primary focus on the strategic planning associated with the growth of the company. In addition to managing fiscal performance and corporate efficiency, Morgan remains firmly entrenched as leader of daily operations at CTI.